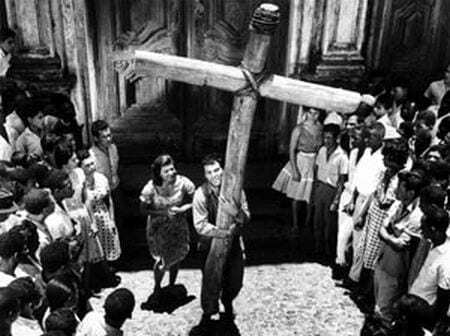 The Fourth Wall film club is screening Anselmo Duarte’s The Given Word (O Pagador de Promessas, 1962) on 16mm tonight, and they have invited me to do a brief introduction. The film was based on a play by Dias Gomes and won the Palm D’Or at the Cannes Film Festival that year. The screening is free and open to all.